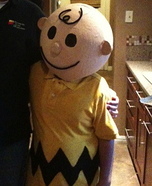 This page has links to homemade costumes that were created mostly by the wonderful people who have entered our Halloween Costume Contests in the years since the Costume Works began. 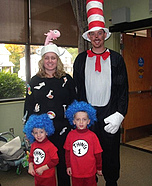 Some costumes have more detailed instructions than others, some have very little in the way of actual "instructions" but we hope that by posting the photos of some of these costumes... it may be just enough to get an idea forming in ones head of where to begin. 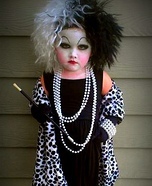 Snakes and snails and puppy dog tails....what are the ingredients for your perfect costume? A personal touch makes everything better, so why settle for the same old store-bought costume year after year? Homemade costumes allow you to scare up the costume of your dreams (or nightmares!) as you are limited only by your imagination and creativity. 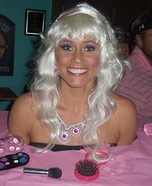 Each year, many people enter our Halloween Costume Contest and win scary-good cash prizes! Many winners and entrants have shared their creations with the world, and we are frightfully lucky to be able to share their ideas with you in our many costume galleries. Ready to say R.I.P. 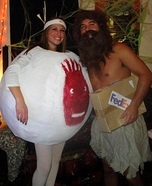 to those store bought costumes and dress-up your tired Halloween routine? Be the talk of the haunted house – or just your block – with your very own homemade Halloween costume! You don't need to be a wizard or even just a master tailor to create an awesome costume. If nothing else, the ideas available in our galleries are sure to ease your sense of dread and lead you to a petrifyingly-perfect starting point. 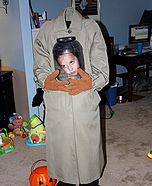 Does the prospect of crafting your own homemade Halloween costume turn you into a scaredy-cat? It doesn't have to be a horrific experience – many of the ideas submitted here include 'how-to's', tips, and lists of materials to use that you may not have even thought of! You may even have everything you need lying around your house, right now! Yes indeed, your house can be a bubbling cauldron of terror-rific materials you can use to craft the perfect homemade Halloween costume. Click a link and ENJOY – Half the fun is in the creating!! 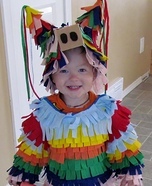 When it comes to our galleries of homemade Halloween costumes, there are no tricks and only treats! We are thrilled to share the amazing creations our users come up with. 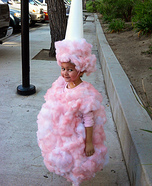 Whether your costume is sickeningly sweet or terribly terrifying, the world wants to see it! 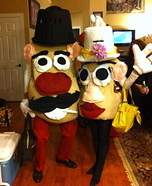 Showcase your tantalizing talents by submitting a photo of your costume! Be sure to include patterns and diagrams, how-to instructions, lists of materials used, or any horrifyingly-helpful tips for aspiring homemade Halloween costume creators! 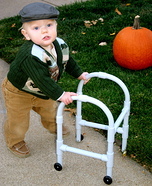 Don't forget to enter our annual Halloween costume contest for a chance to win cash!